First of all I would like to say thank you to Elizabeth for this wonderful class! I learned so much and I will definitely be creating many, many patterns in the future :). 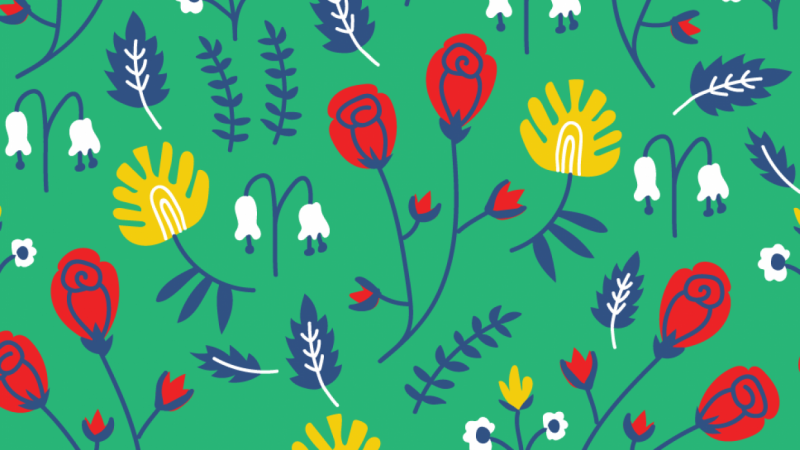 So in conclusion, I kind of wanted to make a pattern that was a Eastern European folk pattern that could be found in Ikea :). I liked both a lot but decided that the green aligned more with the direction I wanted to go in. So I made a few mockups! I had so much fun taking this class. Feedback is welcome!